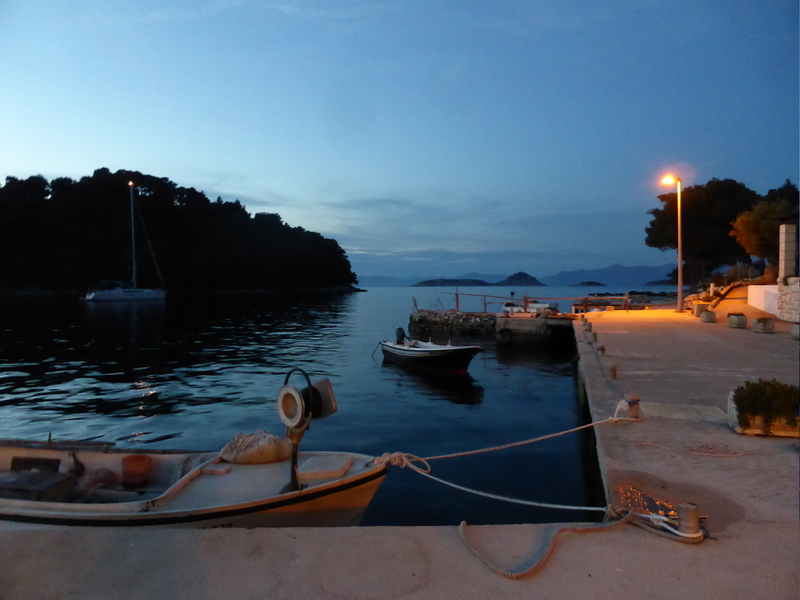 As there were generally a number of boats moored each night, they tended to moor alongside one another and you had to walk across other people’s boats to get to your own. For some reason, I loved this. In Dubrovnik, we were in the middle of the pile of boats and so we left a little later than usual and I was able to be on deck in time to watch our departure. 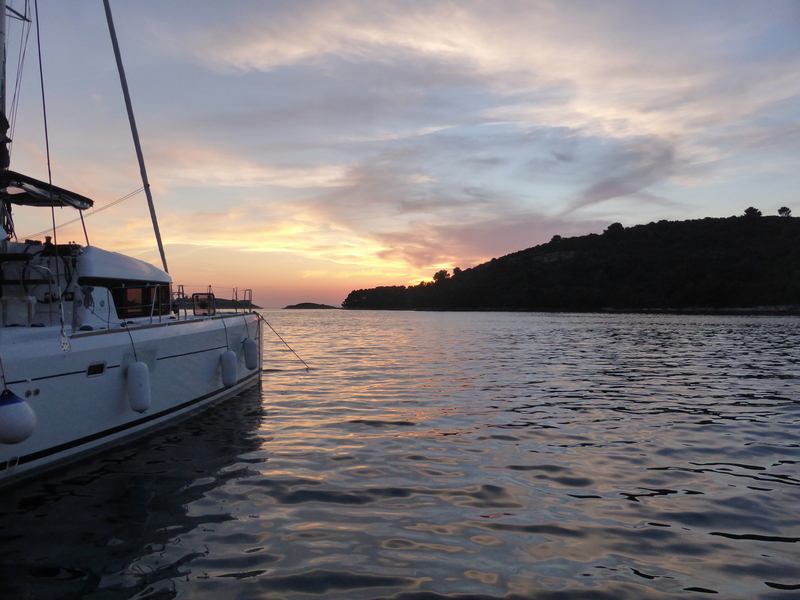 That’s one of the many things I love about boats – sailing away and watching places get smaller. By now I was totally in the rhythm of boat life. Breakfast, followed by lounging around until we arrived in a quiet bay somewhere for swimming. Today’s bay had really warm water, at least for the first couple of feet from the surface and then getting progressively cooler. Made for some interesting temperature changes as you mixed up the water by swimming along. After swimming, time to shower and get ready for a four-course lunch: clear soup, salad, some sort of meat or fish, dessert or fruit. 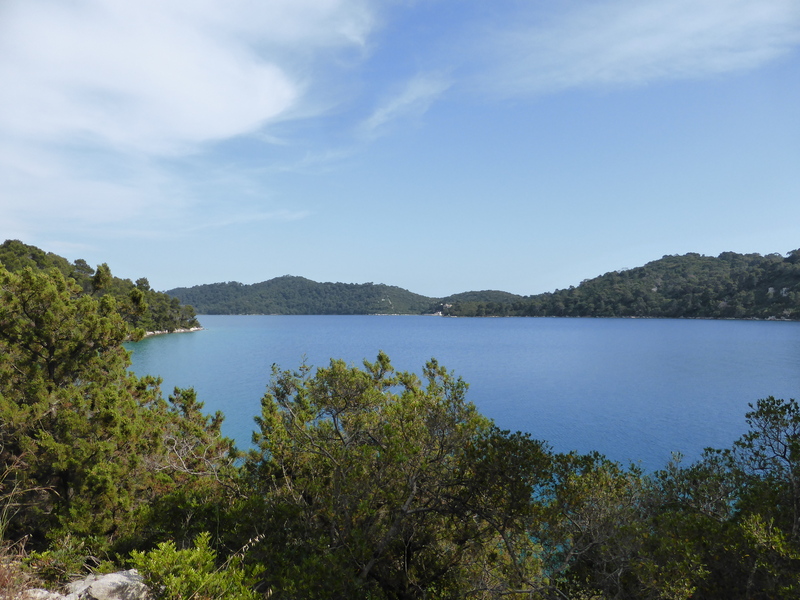 After lunch more lounging around until we reached our home for this evening, in this case the island of Mljet. We arrived around 15:00 and I headed off to explore the national park. The main attractions are Malo Jezero (Little Lake) and Veliko Jezero (Big Lake), both are very pretty. 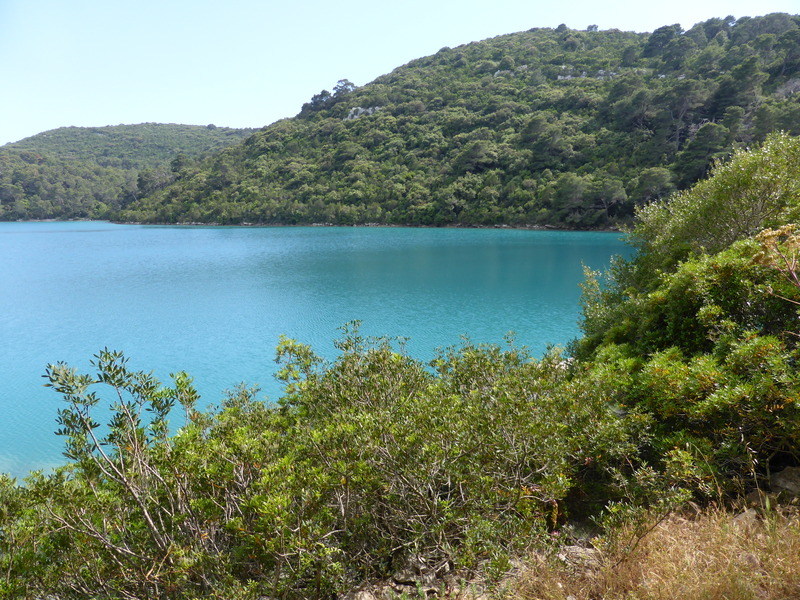 They are saltwater inland lakes and plenty of people were swimming. Apparently, the water was quite warm. I opted for hiking cos I hadn’t been walking as much being based on a boat. I headed off with enthusiasm around the edge of the little lake. The path was quite natural and uneven in places, so after I’d tripped myself up a few times, I proceeded a little more cautiously. About half the way round, there were sign pointing to the big lake so I switched direction and headed that way. Thankfully all the routes are well marked with distances. I knew it wasn’t possible to walk all the way round the big lake as you can with the little lake so I opted not to take the 9km round trip to my left and instead headed to my right towards the boat dock. 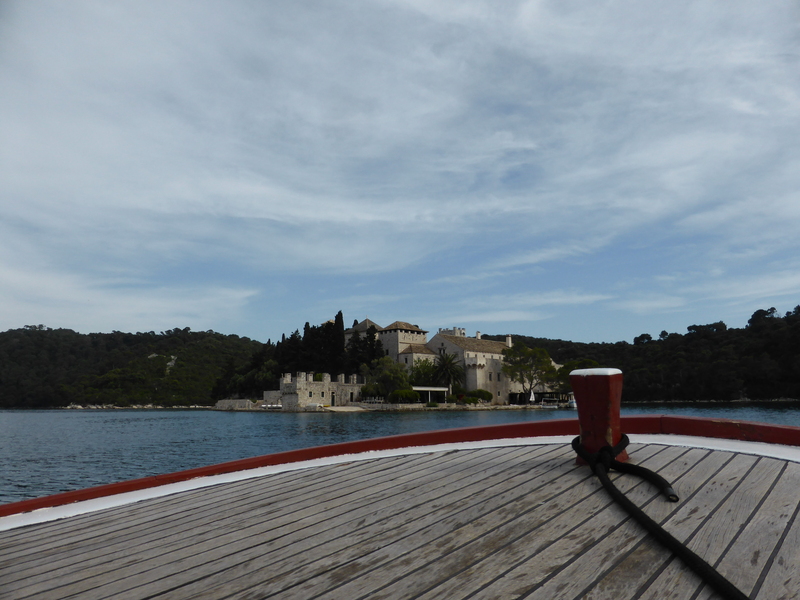 My favorite part (no surprises here) was the boat trip to island on the big lake. There is a 12th century Benedictine monastery which is quite stunning and there’s a nice path you can take all around the island. The boat ride is included in the national park ticket so it was all pretty good value. We were moored in a cluster of five boats and one of them wanted to be a party boat so I retired to bed to the sounds of lots of people drunkenly singing I Will Survive, followed by Bohemian Rhapsody. Not sure what was next in the repertoire as I headed off to the land of nod but I learnt afterwards that was one of the virtues of having a lower cabin; the passengers with cabins on the upper deck apparently did not sleep so well!